There is untold confusion about what was actually sold. The retail arm - which sold electricity to households and businesses. The retailer bought electricity, paid network fees, added a margin and sent you a bill. The network arm - which maintained the electricity infrastructure. The network provider made sure the transmission and distribution network was operating to get power to your distribution board. Back in 2008 the state government announced that they would "sell the retail arms of the three State-owned energy corporations". The network side of things (the poles and wires) would remain under state ownership. Integral Energy and Country Energy's retail arms were sold off to Origin Energy. Energy Australia's retail arm was bought by TRU Energy. Endeavour Energy replaces Integral Energy. The Endeavour Energy network area covers Sydney’s Greater West, the Southern Highlands and the Illawarra. Ausgrid replaces Energy Australia. 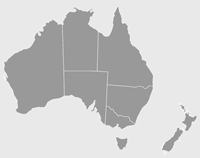 The Ausgrid network area covers most of Sydney, the Central Coast and Hunter regions of NSW. Essential Energy replaces Country Energy. The Essential Energy network area covers the rest of NSW, which amounts to over 90% of its land area (or about 800,000 homes and businesses).